Close your eyes, let me take you back to a land that time forgot. Okay maybe not quite that long ago - we’re heading to the late 18th century, where dodgy bathtub gin was being drunk by the bucket load, children were being dropped down stairs and many an alcoholic was going blind. Can you picture the scene? At this point, the liquid was rough-tasting, column stills hadn’t yet been invented and primitive distilling was the order of the day. Adding to this, the English were finding it tough to source useable grain spirit – and they were not about to let a small thing like lack of resource get in the way of a good drink – so they began making gin from as neutral a spirit as possible (which did mean the quality was questionable). Then the greed kicked in - keen to increase profit margins, the unscrupulous distillers of this era would cut their spirits with dodgy lengtheners like turpentine and sulphuric acid – creating gins that were deadly. . Many a gin shop proudly boasted the sign “drunk for a penny, dead drunk for twopence” - whether they meant it so literally remains to be seen. "Imagine every single newsagent, store, supermarket and street vendor in central London turning their hand to selling gin. Then imagine that its cheaper than bread or milk and that anyone can buy it, violent drunks, the elderly and infirm, children. Finally, imagine that it's not only highly addictive, but poisonous, laced with added flavour enhancing properties that when consumed in large quantities cause blindness, death or the loss of one's mind.” writes Tristan Stevenson in his book The Curious Bartenders Gin Palace. To soften the blow of this foul tasting liquid, distillers would add liquorice or sugar post-distillation, essentially creating a new category of spirit - a far cry from the malty, heavy Genever and lighter, rounder and sweeter than the more modern London Dry. 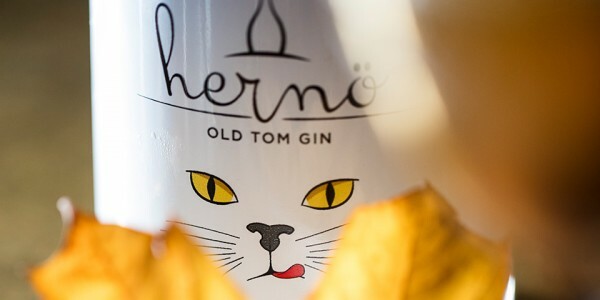 This kind of gin began to be known as Old Tom. And ultimately no-one knows why - there have been multiple stories flying around over the years, the most popular of which involved Captain Dudley Bradstreet, who claims - in order to get around the Gin Act of 1736 - to have invented a Puss & Mew Shop - a modern day version of a vending machine. He hung a picture of an old tomcat outside a boarded up shop in London. Patrons after the good stuff would whisper ‘puss’ at the cat and place a coin into the cats mouth, and if the seller had gin to give, the cat would ‘mew mew’ back and dispense gin from its paw. However, as Gin Foundry point out - Bradstreet makes no mention of the term in his autobiography, leading many to believe that it’s probably not the source. The story that most in the drinks world stick to is the story of distiller Thomas Chamberlain & his apprentice, Thomas Norris (Old Tom & Young Tom) – when young Tom learnt his trade and opened a gin palace in Covent Garden, he emblazoned his barrels of gin with the words ‘Old Tom’ – which was reputed to be a good quality spirit. The life of Old Tom was pretty sweet (no pun intended) until the column still came along, which allowed spirits to be produced up to 100% ABV and eliminated any impurities like the grainy, yeasty notes prevalent in Old Tom. It also allowed for the botanicals to shine through the spirit and become a flavour in their own right, leading to the distillation of the style we drink now. London Dry. Infact, the lack of sweetener is where the term London Dry comes from whilst not actually dry in flavour, they no longer have sugar added to them because they don’t need to. The reason we’re telling you all of this? Well the number one gin in the world is currently an Old Tom - so if you haven’t tried this style of gin yet… what are you waiting for?